To make non-alcoholic, substitute water for the vodka and Sprite or soda water for the champagne. There are so many things to love about summer; one of those things being the delicious in-season fruit you just can’t get during colder months. As far as we're concerned, sweet, hydrating watermelon is one of summer's most-beloved fruit and is the perfect ingredient to use in a chilled, refreshing cocktail. In this recipe, the citrus taste of freshly squeezed lime juice is vital since the juice from the watermelon can be overly sweet, and the lime juice adds a little tang while tapering sweetness. 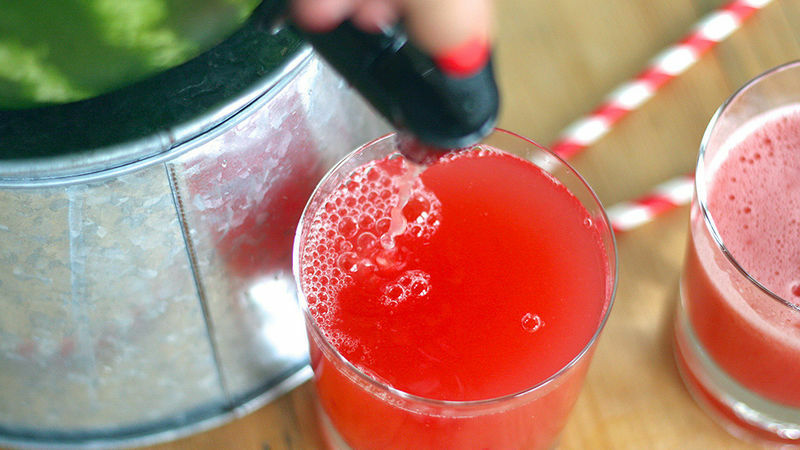 Straining out the pulp is also key in ensuring your watermelon punch is light and refreshing. The kind of alcohol you use is fair game. Vodka, gin or rum are all great options and each one will give the punch a distinct boozy flavor. Finished with fresh herbs, this boozy watermelon punch and many of our other thirst quenching punches are the stuff summers are made of.